"Clear, concise, compelling writing is also essential to the rule of law." Writing is crucial to the practice of law. It is our chance as attorneys to advocate for our clients by knitting together the story of their case with the history of precedential case law, enacted statutes, and constitutional rights. Writing is a quiet, unglamorous task that we do in seclusion, away from others and out of the public eye. Clear, concise, compelling writing is also essential to the rule of law. Respect for the legal profession and the rule of law depends in large part on achieving public understanding and trust through accurate and engaging use of the written word. Government itself ultimately depends on the quality of its writing about rights and duties – through court decisions and legislative and regulatory decrees – to establish an effective relationship with its citizenry. I recently had the honor of receiving a Burton Award for the Finest Law Firm Writers of 2018. As I approached the humbling award ceremony at the Library of Congress, I reflected on the significance of writing in my career. I don’t claim to be the world’s best writer, but these concepts are important to me. Law school is an important time for future lawyers to hone their writing and research skills. I am most thankful for the strong legal writing requirements at UC Hastings. Beyond all of the required coursework and elective classes that prepared me for a criminal law practice, I benefited from many opportunities to grow my writing skills, including moot court programs and the strict practice of legal writing professors to issue failing scores to legal briefs and writing assignments containing 10 or more errors. filed the morning of scheduled hearings. I also learned that keeping a focus on effective writing could give me an edge in criminal practice. As my trial calendar quickly filled, I too stopped responding with long written motions and gained experience in thinking on my feet. Occasionally, complex proceedings resulted in judges ordering that the parties file briefs. Although my counterparts often complained, I looked forward to reviewing the transcript, researching applicable case law, and preparing a brief advocating my position. I found that brief writing and written advocacy afforded a calming, contemplative, and vital part of my practice. Legal writing grounds me and often lifts much of the stress associated with trial work. When I am actively courtroom the confrontation in the courtroom falls away, the animosity directed by others at my client or my position is silenced, and I am able to focus on the rule of law. The act of legal writing serves to remind me of the very reason I sought a law degree – the pursuit of justice through the thoughtful application of the law. Upon leaving government work and entering private practice, I became exposed to other forms of legal writing for business development, to alert clients to changes in the law, and for use in educational or practical materials. I have observed that these forms of writing are most effective when I enjoy the drafting tasks and feel inspired by the subject matter. Law, like all human endeavors, should be practiced wholeheartedly and I believe writing for business development should involve more than “selling.” When we publish articles, for example, we should write them because the topic is important or the concepts interesting to our practice. We should also lend our voice and pen to causes and issues that matter to our clients, who may not have a platform to be heard without our help. Inspiration for creating business development content can flow freely when we keep these principals as our focus. The result, at least for me, is hopefully authentic writing that contributes to the success of my practice and also more broadly to the practice of law. Direct communication with clients is another aspect of writing that can present challenges, especially in a criminal practice. As lawyers we must be thoughtful with respect to the manner, frequency, and content of our communications with clients. Many of my clients need help because something significant, often involving criminal investigation or arrest, has happened to them or to members of their family. I communicate with them on their worst day or during their darkest hour. Accordingly, communications from me are generally not welcomed and can be anxiety-inducing. Before communicating with a client, I try to think about: (1) the nature of the information or counsel I am prepared to impart; (2) the likely effect it will have on their day or lives; (3) their current circumstances; and (4) the way they process and receive information. That approach allows me to determine if it is best to call, send an email or letter, or schedule an in-person meeting. I find that taking time to tailor my approach increases the likelihood that client communications will be productive and, ultimately, most beneficial to them. At the Burton Awards ceremony, I was privileged to hear the moving comments of Ian McDougall, the Executive Vice President and General Counsel of LexisNexis, about the rule of law. McDougall discussed four necessary elements: (1) that the rule of law be equally applied to all; (2) that it be accessible to all; (3) that it be knowable by all; and (4) that remedies be available to all. It struck me that one of the indispensable purposes of legal writing is to make the law accessible and knowable to the public. Lawyers have a responsibility to the citizenry to explain the law in clear and concise terms. In the practice of criminal law, where ignorance of the law is no defense to even the most serious charges, this function could not be more vital. Writing excellence remains essential in educating the public, seeking remedies for our clients, and sustaining the role of the legal system and our profession within society. Laurel (Derry) Gift ‘00, Partner, Schnader Harrison Segal & Lewis LLP, LGift@schnader.com, recently received a Burton Award for the Finest Law Firm Writers of 2018. She is chair of Schnader’s Criminal Defense and Internal Investigations Practice Group. 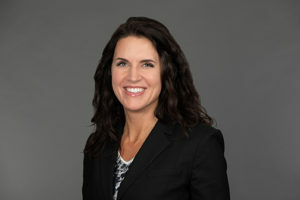 A trial lawyer and former prosecutor, she has represented criminal defendants, witnesses before the Statewide Investigating Grand Jury, and witnesses and targets of federal investigations. Her work includes conducting internal investigations for municipalities, school districts, universities and corporate clients. She served as Senior Deputy Attorney General for the Commonwealth of Pennsylvania and was a prosecutor with the Allegheny County District Attorney’s Office.